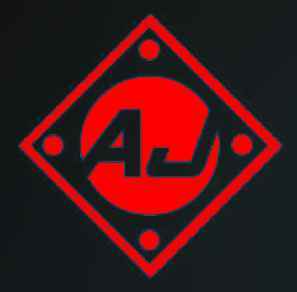 AJ Repository is one of the great repo which will provide access to everything that you want to stream. The add-ons provide movies, TV shows, Live channels, Live sports events, broadcasts and much more. This repo has plenty of content and for each category, there will be a separate addon. Its quite active repo with limited add-ons and all the links are working pretty well. The popular add-ons found in this repo are Falcon Project, Falcon Ultra TV, Cryptic, eyasses and few more. Falcon project is an all-in-one addon which brings you a huge library content. You can also access the Cryptic and Eyasses addon content via Falcon project. The Falcon Ultra TV is actually a forked version of Ultra IPTV addon. It is a region-based addon, as it contains most of its channels from the UK region. However, it provides pretty good content and stream links. Cryptic and Eyasses are especially for Movies and Tv shows. It has a huge collection of it. The categorization and arrangement of content are found to be a disaster. The updates of the content are quite slow, yet if you are looking for some old kinds of stuff, you can find it here. This is one among the few repos that provide audio books content. And apart from super repo here, you can find the cooking content too. Even it has features like, you can connect and monitor your CCTV. Things like this are pretty cool!! !… Isn’t it?? ?… Just give a try to this repo. If you are not satisfied even after using it, you can uninstall and try other repos on our list. Step 1: Open Kodi and Select the settings gear icon on the home page. Step 2: Select the File Manager to insert an external link for downloading the repo file. Step 4: Add source file tab will pop-up. You can select none and add the repo link or else in case if you have the link already you can browse and add the link. Step 5: Type the URL: http://ajbuilds.uk/repo (Make sure you have entered the exact URL. Copy and Paste the URL to avoid manual error). Step 10: It will take some time to get downloaded. Wait till a pop-up notification appears at the top right corner saying that the respective file/addon is installed. Step 12: Select the AJs repository. Install your favorite addon and enjoy its service. Finally, here we are, I hope you will have come to an idea about AJ Repository. Although it has some minor flaws, they can be rectified in the future update. It has such valuable contents. Other than that, this repo is a complete package where you can find all the content that is essential to satisfy your search. If you find any issues with the installation procedures or any feedback for betterment, kindly comment below.